As another baseball season begins, activists are gearing up to give Chief Wahoo the same treatment they've given the Washington Redskins. By Michelle JacobsWords are powerful because they conjure images and ideas. The “Indians” team name was adopted because it evoked particular meanings for sports enthusiasts--aggression, bravery, dedication, and pride. Such images of American Indians seem honorable when American history is ignored. The fact is that references to Indian “aggression” were used to justify the genocide and colonization of U.S. indigenous peoples. That reference now puts a different spin on the use of “Indians” as an athletic team name--one that exists alongside aggressive animals, like Lions, Tigers, and Bears. By Cynthia ConnollyConsidering the Cleveland Indians name began just 25 years after the Wounded Knee Massacre, I’m not entirely sure what part of history this mascot (Chief Wahoo) is trying to honor. To put this into perspective, there will never be a time when it’s OK for sports teams in Germany to be called the Jews. 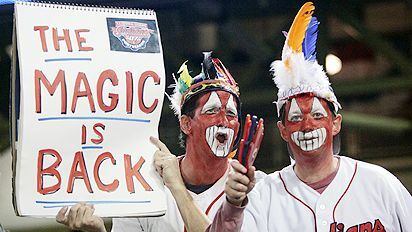 In a 2012 interview, Bob DiBiasio, Senior Vice President of Public Affairs for the Cleveland Indians commented that fans do not associate the logo with actual Native Americans. He stated, “When people look at our logo, we believe they think baseball.” This is troublesome considering it is impossible to honor a group of people if one does not even think about them. DiBiasio’s statement makes it clear that the mascot is not intended to honor or represent anything; it is simply a brand and marketing tool for Cleveland baseball. However, Native people cannot afford to serve as the brand for sports teams. Not when in 2010 the Pine Ridge Reservation declared a state of emergency due to unprecedented youth suicide rates. Not when Native women are 2.5 times more likely to be raped. Not when Natives have the highest poverty rate than any other race in this country. The use of Native mascots generates a great deal of apathy, making it difficult for anyone to take our socio-economic issues seriously when all they know are costume headdresses, the tomahawk chop, and Chief Wahoo. We simply cannot allow America use our name and image whenever and however they choose for their entertainment. Especially when they don’t even think of us. They only think of baseball. By Leila AtassiCleveland City Councilman Zack Reed is calling for the city to ban the display of the Cleveland Indians’ mascot Chief Wahoo on public property, arguing that the grinning, Native American mascot is the red equivalent of the racist, turn-of-the century “Sambo” caricature. During the miscellaneous comments portion of Monday night’s council meeting, Reed said that he has been barraged by emails and phone calls from worldwide associates since the seemingly perennial controversy over Wahoo erupted in the news in recent weeks. The world outside of Cleveland, Reed said, sees Wahoo as an unquestionably racist and demeaning icon. He said that he remembers when society made the same arguments about Sambo and Jim Crow and other racially denigrating iconography. But today, after the great sacrifices made in the name of the Civil Rights movement, “no one would dare place an African American caricature on a sports team,” he said. By Paul LukasThe Cleveland Indians' home opener is Friday afternoon, and many fans will no doubt show up wearing Indians jerseys and caps. But at least some of those fans may be wearing Indians gear that they've modified in a very specific way: by removing the Chief Wahoo logo. This is the "de-Chiefing" phenomenon, a form of silent protest by a small but growing number of Indians fans who love their team but are opposed to the Wahoo logo, which they view as an offensive caricature. 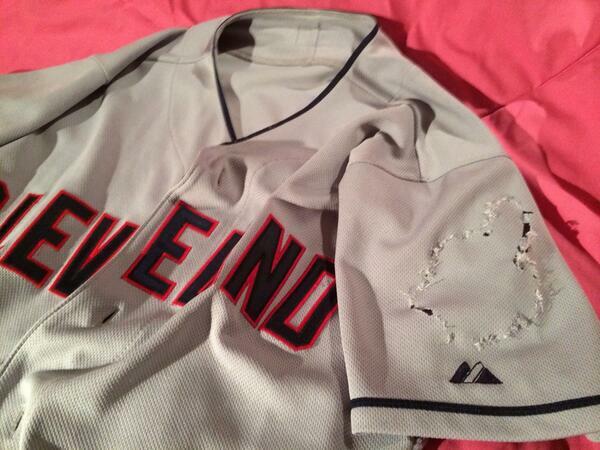 They say they're not accusing pro-Wahoo fans of being racists or telling them what they should or shouldn't wear. They've simply made a decision not to wear the Chief themselves. By Mark NaymikNative Americans and others who believe the Cleveland Indians' mascot, Chief Wahoo, is a demeaning caricature plan to demonstrate outside Progressive Field on Friday during the baseball team's home opener. Organizers behind the demonstration have tried to rally people against Wahoo on opening day for more than 20 years, though team owners and baseball fans have generally ignored them. In some years, only a handful of demonstrators have stood with signs against Wahoo. Organizers hope to find greater support this year because of the renewed attention Wahoo has received in the growing national debate over sports mascots and names sparked by the NFL's Washington Redskins' controversy. The Plain Dealer editorial board recently called on the Cleveland Indians' owners to drop the smiling, big-toothed, big-nosed cartoon Indian, which has been used for more than 60 years.